And then I did something I do not normally do: I listened to a Maria Callas recording. I have several, and they don’t see a lot of action. I think there is something in me that is deeply suspicious of a soprano who appears not to have liked Mozart (I remember one modern reviewer discussing a recording of hers in positive terms, but noting that she sang only what she liked, and much of what she liked was “junk like Tosca and Lucia.”) There is also something me that is deeply suspicious of the whole adulation of dead sopranos thing. Every time I read an older critic complaining that singers of the 1950s and 60s were profoundly superior to those performing now I just think – dude (it is usually but not always a dude), you were young then. Opera was new and exciting for you. And you got used to a certain style of performance. We folks under 40 will probably be saying the same thing about current performers decades from now. But as far as Maria Callas is concerned, the thing is, in the 1950s at least, girlfriend could sing. The recording I listened to was one of Cherubini’s Medea, recorded live in Dallas in 1958. It’s got all the issues of something recorded live in Dallas in 1958 – that is to say, it sounds like I have cotton balls in my ears and someone has turned on the shower. Even so, Callas’s complete dramatic commitment shines through, and I admit, I find her voice interesting. Not a voice I think I could listen to for hours on end without developing a headache, but interesting. And having Jon Vickers and Teresa Berganza in the cast too doesn’t hurt either. Just when you think you don’t need another Handel recital . . . It turns out that you do. I went through an intensive Handel buying phase between about 2003 and 2005, so I have a lot of CDs that came out then or a few years before. I haven’t bought many Handel recitals (as opposed to complete operas) in a while, because after a certain point you realize that you have on your shelf fifteen different people singing “scherza, infida” and a different fifteen singing “se pietà” and in at least one case the same person singing each of those but on different CDs, and after a certain point you begin to experience diminishing returns. 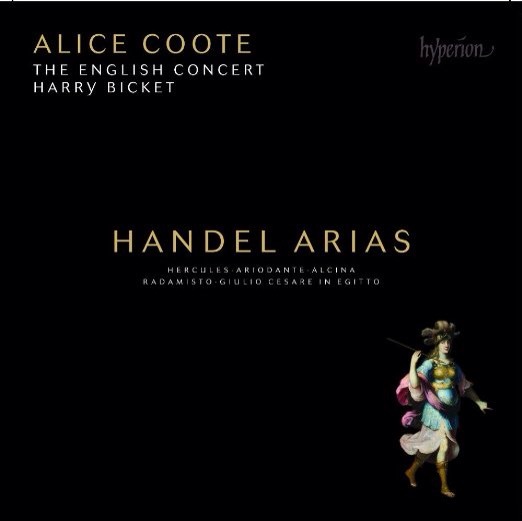 On the other hand, there is this recital CD by Alice Coote, with the English Concert and Harry Bicket, that is really very arrestingly good. I particuarly liked the excerpts from Alcina – “mi lusinga il dolce affetto” has the same delicacy and intimacy that I remember from hearing Coote in that concert performance of this opera last fall, and in “verdi prati” she has this way of stretching out the phrases but in such a way that there is a sort of springy energy holding them together. You know how sometimes singers are criticized for “limp” phrasing? Well, this is the opposite of that. Every moment expresses Ruggiero’s sense of vanishing beauty. 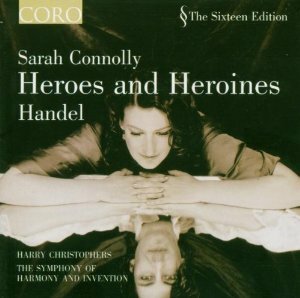 The sections from Hercules are also a highlight – I always find myself thinking it kind of a bonus that Handel ended up in England and thus wrote several oratorios to English texts. With “Cease ruler of the day to rise” the contrast in my head was DiDonato, whose renditions of this express a kind of beautiful anguish; Coote’s offers a deeply felt sadness and regret. Different, but I am more than happy to have both. 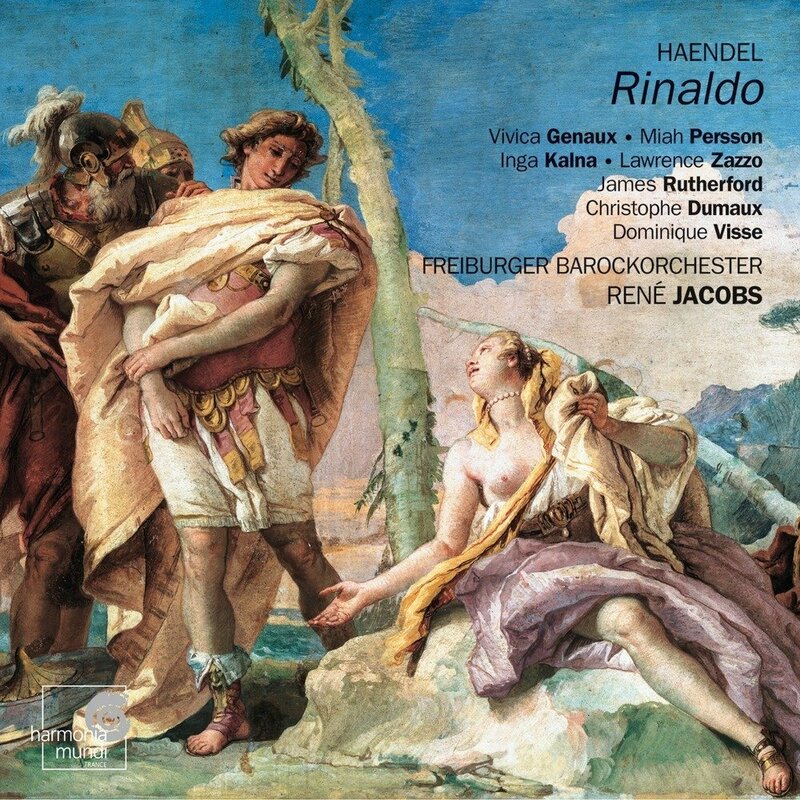 This recording of Handel’s Rinaldo was reissued recently. I had a bootleg of it that I had been enjoying for some time, but it’s nice to have the discs too, especially at the relatively cheap price (no booklet, though). I occasionally found Vivica Genaux’s (Rinaldo’s) vibrato wider than I liked – I liked her singing on that recording of Vivaldi’s Bajazet, for example, more than I did here. But “liked better” is relative – this is a very minor issue. 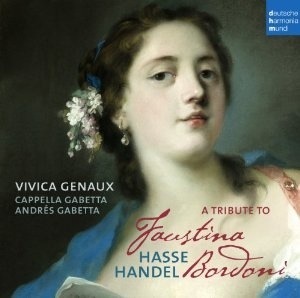 This recording is not as exciting as Genaux’s Vivaldi CD, but that’s probably because it’s mostly Hasse and Hasse is not as exciting as Vivaldi. That said, it definitely has its moments. The Handel selections are some of the high points (e. g. “ti pentirai crudel”) but I am not anti-Hasse by any means. the second track, “Qual di voi… piange quel fonte” from Numa Pompilio has some beautiful writing for the oboe and voice parts – the section near the end where it’s just mezzo and oboe alone is really nice. I always enjoy the sound of Genaux’s voice – you would never mistake her for anyone else – and the way she slides so effortlessly through all the coloratura that you hear not “ornament” but rather simple, direct expression. The oboe player is no slouch either – that is some elegant and expressive oboeing. Also noteworthy were the smaller, more intimate interludes of the overture to Didone Abbandonata. Like I said, I am unlikely to go on a Hasse bender independently of Genaux, but it has a certain amount of charm. 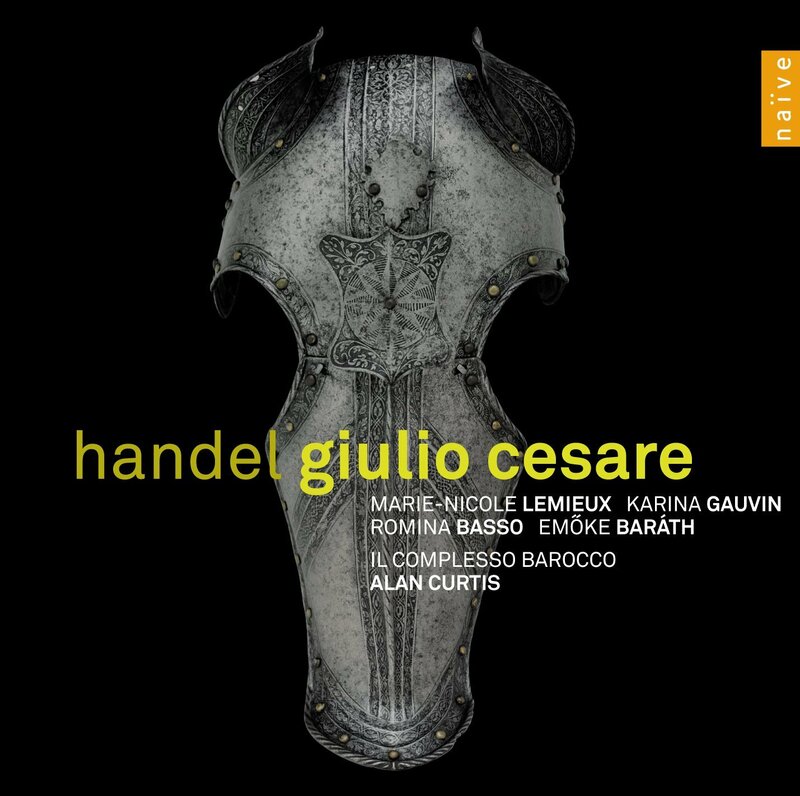 My last baroque blitz involved Curtis and Il Complesso Barocco, and I admit I found the lively but never brow-furrow-inducing orchestral stylings of Cappella Gabetta restful. (I have enough forehead lines already, thanks.) I noticed this in both the aforementioned excerpt from Didone as well as the overture to Zenobia. Finally, the circumstances under which this recording was acquired had the effect of confirming me in an opinion. I bought a cd out of necessity rather than downloading it, and because I usually leave my laptop at work I ended up listening to the recording via the actual disc. I was struck by how resonant it sounded. Low notes of harpsichords! Harmonics! Lute strings! I may be thirty-four years old and therefore on the youngish side as far as these things go (at least in the opera world) but you will pry my stereo from my cold dead hands. The aria is part of the final scene of the opera. Here’s a short clip from that performance, with Miah Persson as Arianna and Kristina Hammarström as Teseo. They sing a duet, “mira adesso questo seno,” there’s a brief section of recitative and then Teseo has the “bella sorge” aria and then the aria is recapped as a chorus at the end. Warning: it WILL get stuck in your head. Do not fight the Handel.